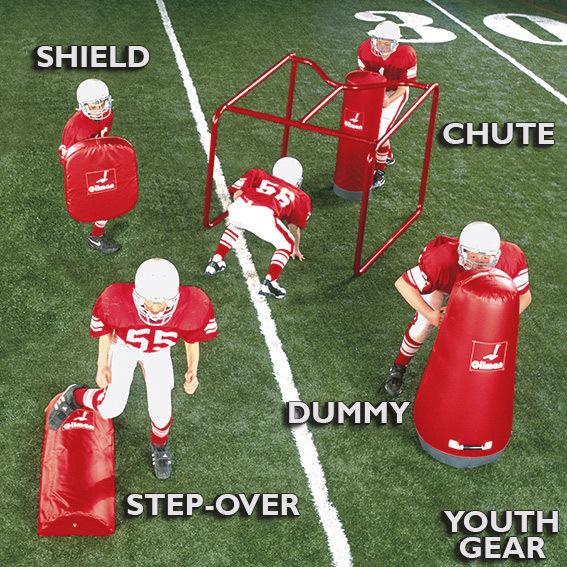 The YOUTH GAUNTLET is designed for “pee-wee” football where the weight range is 60 to 120 lbs. and the age range is 10 to 12 years old. A total of either 12 or 16 arms are distributed over 4 rows, which are adjustable in height. 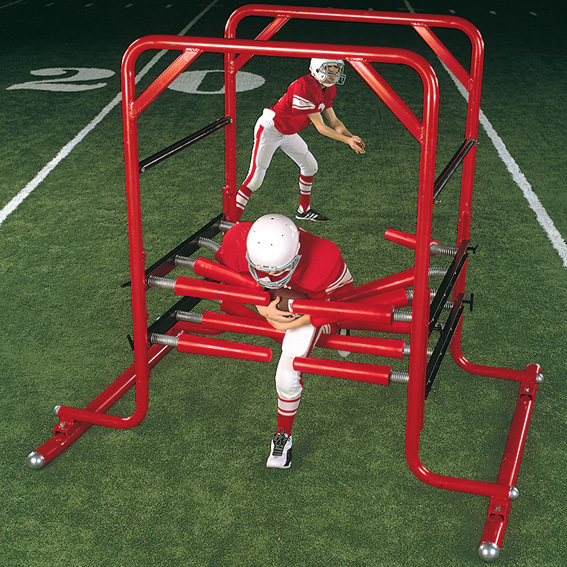 Mounted on sled runners for ease in movement. Teach kids to secure the ball, run with a low pad level, and sustain leg drive. 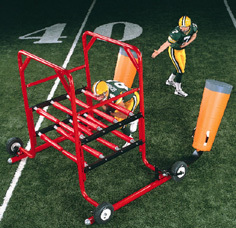 Please note: To use this machine, a player must wear a complete uniform including helmet and shoulder pads. 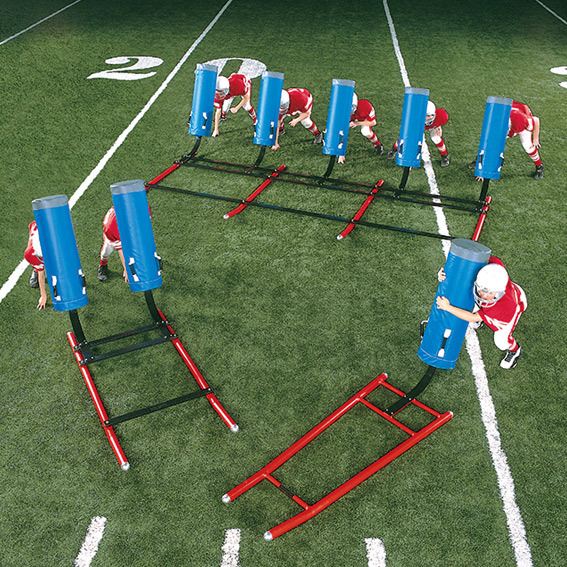 "The coaching point is to teach ball carriers body lean, ball security, and leg drive!"